Lately, I have become addicted to vintage tea cups. I love them all, but I particularly love the one with reticulated saucers and footed or pedestal bases. They just seem to go so well with millinery flowers and ladies hankies from the 40s and 50s. 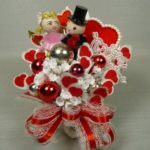 I have so much fun matching them up in groupings that I package to sell as gift sets. I have a box of old hankies and boxes of cups and saucers. Every once in a while I’ll pull them out and pair them up. 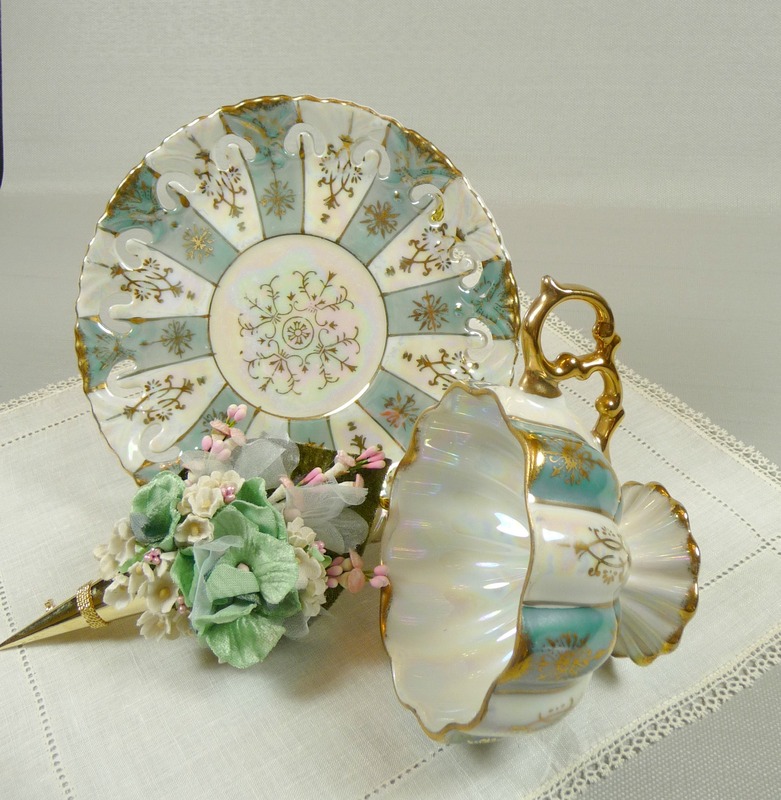 Once I find the perfect cup nd hankie combination, then I’ll sift through piles of millinery flowers to make a matching corsage or tussie mussie in. The result is lovely – they truly were made for each other! Never throw away those old hankies when you find them! You can use them in so many ways – in addition to continuing to use them as an alternative to kleenex! 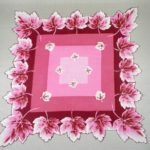 You can stitch them together in a quilt top, add a silk ribbon and use them as a gift bag, or tuck them in a card as a special”thank you.” If you see a stain or storage mark, just soak them warm water and some oxy clean. The only types of hankies that don’t work well with this type of soak are the nylon ones that have flocked decorations on them. The cotton and linen ones do just fine and come out looking great! 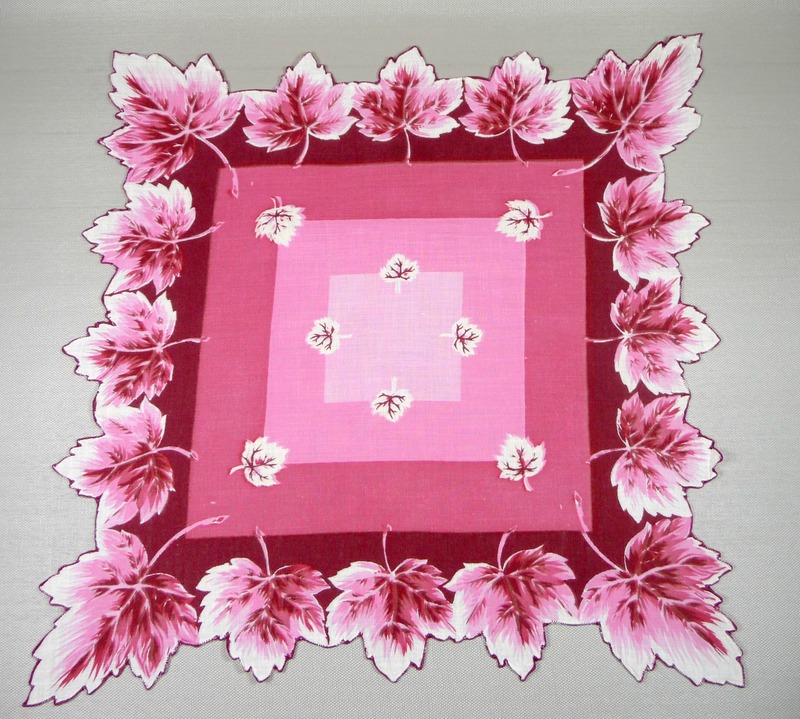 The hankie in this photo looks as good now as it did when it was made over 50 years ago. Anybody would be thrilled to receive it! 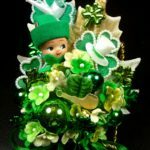 St. Patrick’s Day Vintage Corsages are now available in the shop! 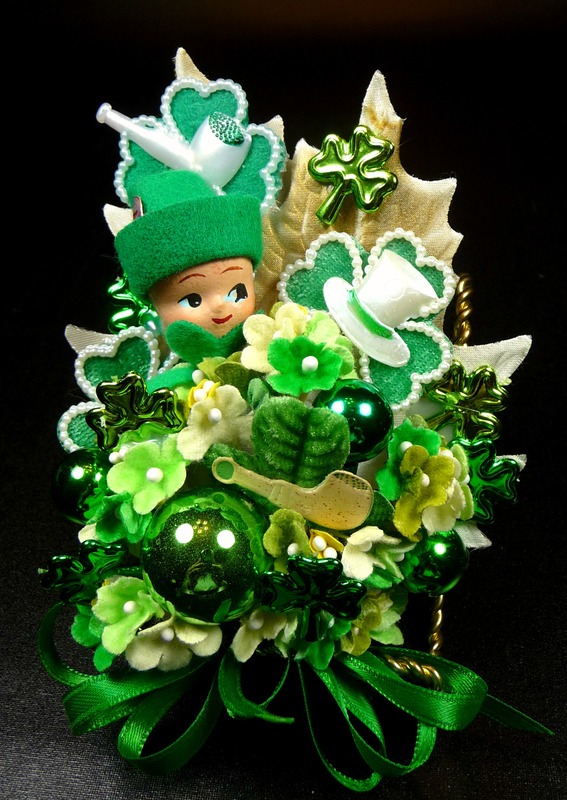 It’s so much fun to “get on your green” by wearing a corsage full of vintage goodies on St. Patrick’s Day! 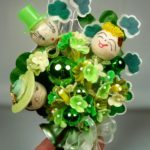 I have collected so many different types and styles of shamrocks – and quite a few different leprechauns as well. 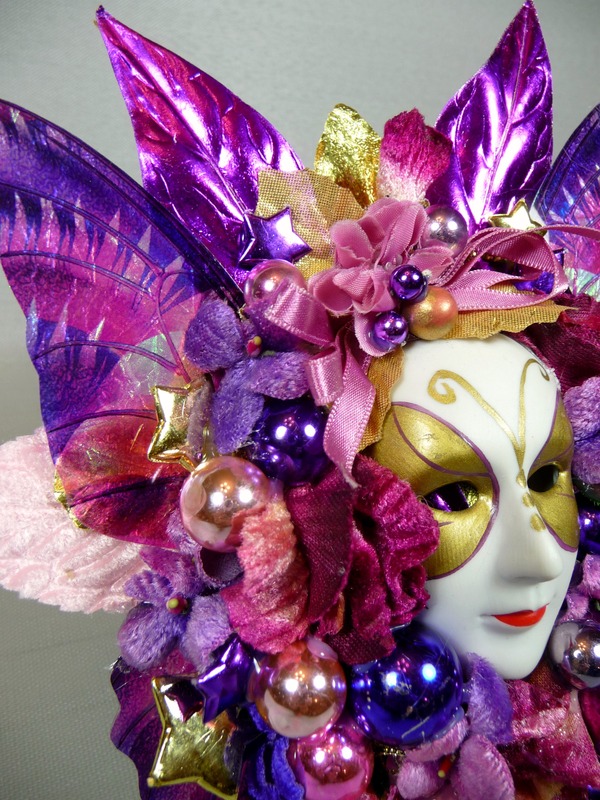 This one has a paper mache head and is at least 60 years old. Adorable, huh? This one has a great collection of vintage leprechauns with spun cotton heads and funny little hats. 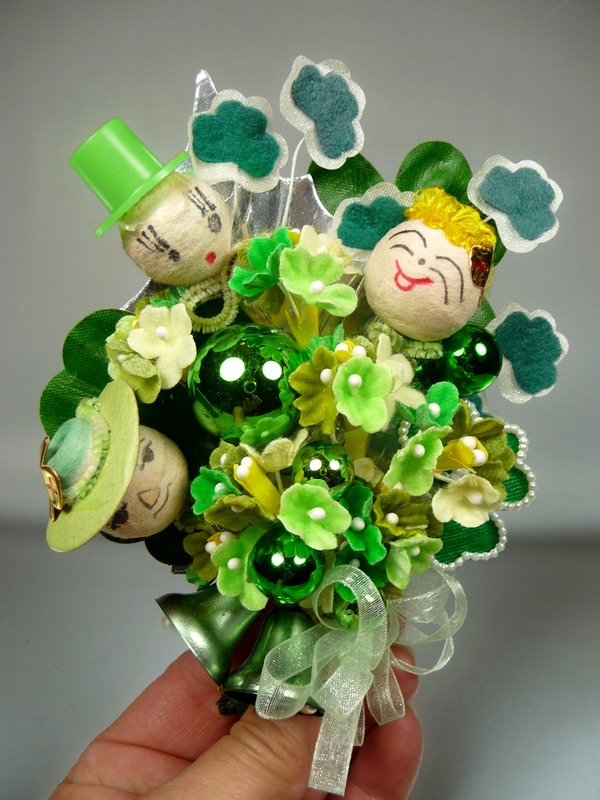 Notice that this corsage has different varieties of shamrocks, and also a pair of vintage green bells. 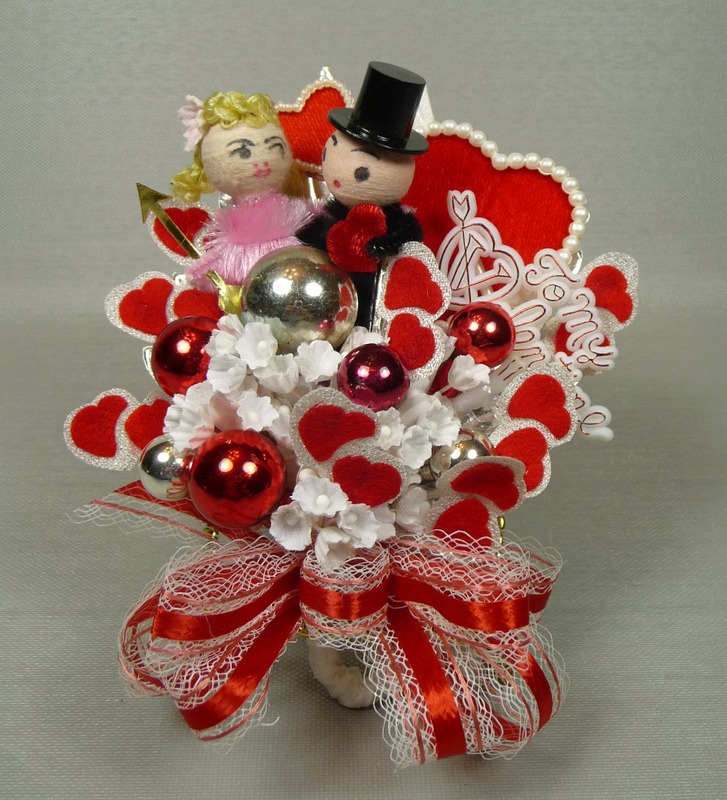 Head over to the shop and check out these festive beauties – and all my corsages! 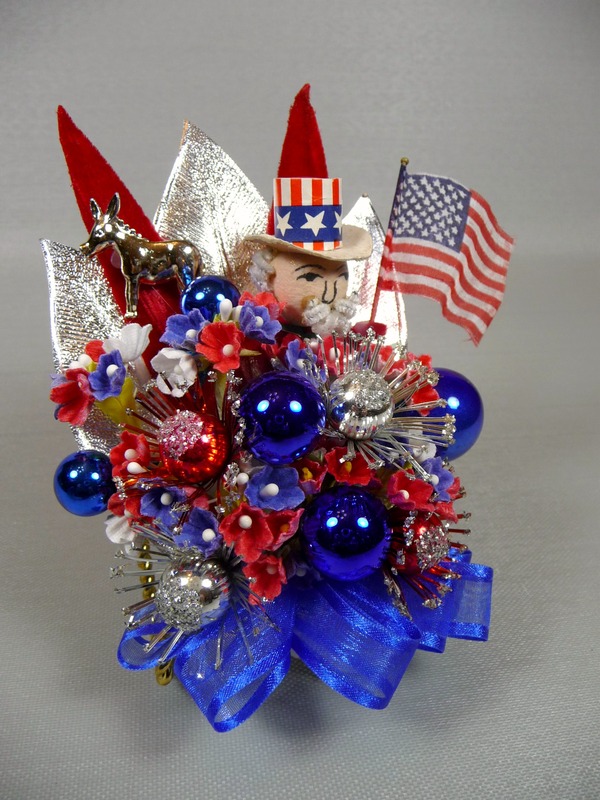 Forgot to mention that political patriotic corsages are now available! 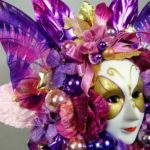 I had a couple posted on my website (one Democrat and one Republican) and the Democrat one already sold – so I need to get busy and make some more. With an election coming up – lots of ladies are sporting their political affiliation by wearing one! 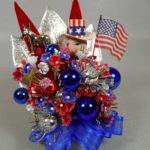 Corsages are a lot more fun to look at than watching mean-spirited campaign ads on TV, and they’re sure to put a smile on everyone’s face!